Atlanta? you may be asking. Yes, Atlanta. Toward the end of the month, I took Chris on a surprise birthday trip to Atlanta, Georgia. No offense to what I found to be a very nice city, but I’ve honestly never had any desire to visit Atlanta. I didn’t realize there was anything there to see. And then we heard about the Georgia Aquarium. It turns out that it’s the largest in the world. 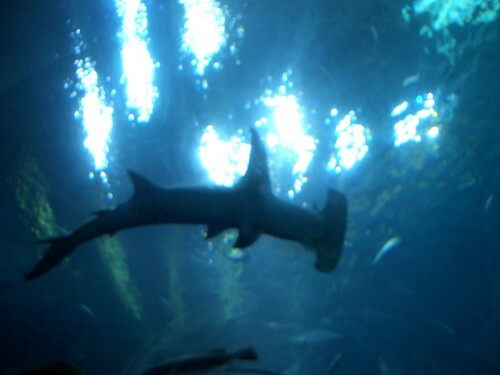 It is also home to four specimens of the largest fish in the world. The whale shark. 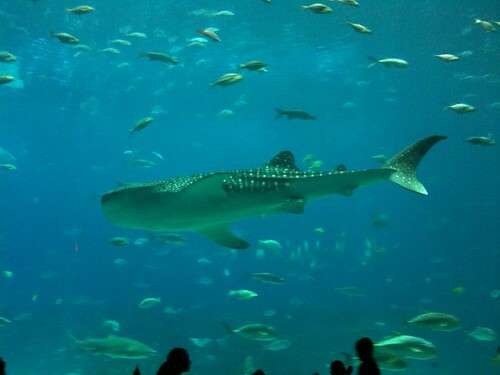 Aquariums and whale sharks–two of Chris’ favorite things. We had to go. Oooh, whale shark. Looks menacing, right? Hardly. The whale shark is a filter feeder and fills it’s belly with a diet of krill (aka itty bitty shrimp). 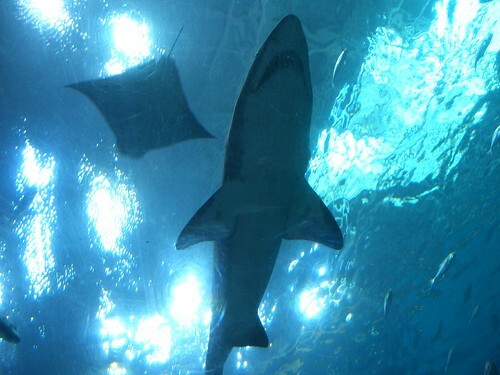 They’re gentle giants and are excellent swimming companions. I could have told you that a year ago, except for the fact that when Chris and I tried to swim with them on our trip to Mexico last summer, I spent the whole time throwing up over the side of the boat. Food poisoning and sea sickness are not a good combination. Oh, and quick travel tip: don’t eat beef carpaccio at an uber-touristy eco theme park. Seems obvious, I know, but just in case you’re feeling daring. Don’t. Anywho! I can tell you that they’re fun to take a dip with now, because Chris and I squeezed into wet suits and jumped in with them at the aquarium. Pretty cool, right? No? It would have been much more awesome if we’d swum with something scarier? But none of this is what I actually want to tell you about. It turns out Atlanta has some really amazing food. Again, not to offend, but I didn’t exactly expect that I’d have one of the top two meals of my life (and I’m hesitant to admit, it may have actually exceeded Del Posto) in this city. The food. The food is what I really want to share. 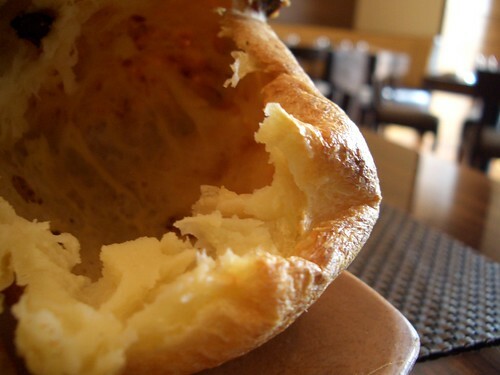 Warm, crusty on the outside, delicate on the inside popovers. They smelled amazing, and I experienced a first. This was the very first time since going gluten-free that I sincerely felt like I was missing out on something. I mean, look how gorgeous! Fortunately, they included a very cute little card with the recipe for these beauties. Believe you me, there is a GF popover adaptation in the works. Oh yes there is. I didn’t have to feel left out for long, though. My bunless burger was flavorful, and the fries were perfection. Long, thin, crisp to the bite and fluffy on the inside. They were warm and tasted vaguely of the oil in which they’d been fried, yet still the clean, starchy potato flavor shined through. And I didn’t have to add a single grain of salt. 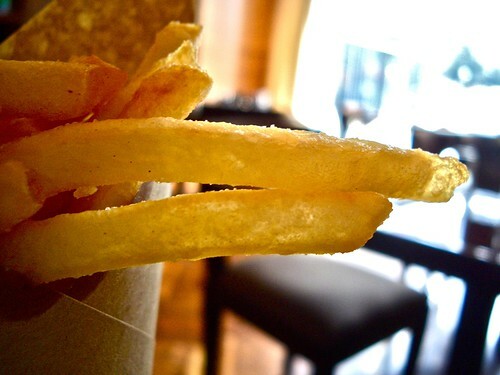 My kind of fry. Unfortunately, I had to leave several of those fries behind. I was getting full and we had relatively early dinner reservations at what looked as though it would be a pretty decent place. And boy I’m glad that I stopped when I did, because that pretty decent place was where I had the meal that completely blew my mind. When we arrived at Bacchanalia that night, I was sure I’d made a huge mistake. The restaurant didn’t look like anything special from the outside, more like a home decor store for country-minded folk. I was even more certain of my error when we walked in the front door and there actually was a full-sized shop that you needed to walk through to get back to the restaurant. Some of the wares were cute, I’ll admit, but what on earth kind of place was this? I’ll tell you what kind of place it was. It was the kind of place that, when we arrived at the host stand, caringly acknowledged the note on our reservation that one of us was gluten-free. It was the kind of place that would never have an issue with such a request because their menu is focused on local, seasonal produce. It was the kind of place with creamy painted brick walls and soft, country accents against dark, modern features. The kind of place that was anything but a mistake. I don’t have any pictures from the night in part because the lighting was so low that I knew none of the photographs would turn out right, and in part because the experience we had there was the kind that you’d never dream of breaking into with a camera. It was an experience meant to savor, and so we did. The format at Bacchanalia is a four-course prix-fixe consisting of an appetizer, an entree, a cheese course and dessert. The menu varies daily depending upon what’s in season and available. Once we’d made our selections, we were presented with an amouse bouche, and the welcome wishes of the chef. Chris was given a pretty little gougere, about the size of a marble, and I received a tiny plate of ruby-colored beets, topped with micro greens and a drizzle of olive oil. I’ve never tasted beets with such inherent sweetness. For the appetizer course, Chris ordered risotto and I selected the veal sweetbreads. This was my first experience with sweetbreads, and I had no idea what to expect. They arrived in front of me, deeply dark nuggets atop teeny, green-colored beans cooked with a perfect and uniform dice of sweet carrots, celery, and little ruffles of woodsy mushroom. The beans were done to perfection–nothing near the toothless mush of canned beans; they had a presence and only gave when rightly bitten. And the sweetbreads–carmelized to a burnish on the outside, succulent and melty-tender as pork belly. Perhaps these were exceptionally prepared sweetbreads, but this experience will absolutely have me ordering them off of the next menu on which I find them. Before the entrees were presented, we received a shooter of white bean soup spiced with cumin and shot through its middle with a horseradish yogurt. It went down creamy and smooth, with a little kick in the tongue to make us briefly forget what we’d just experienced, to remind us that there was more ahead. And then the entrees arrived: Chris’ beautifully rare slices of steak, tender with a lingering bacon-like hint of smoke, and my crisp, thinly sliced, plum-red on the inside breast of duck. Lovely, it rested on a minuscule dice of parsnip and was topped with an equally tiny dice of apple. Amidst the parsnips were chives, a flavor I’ve never cared for, a taste I thought didn’t belong anywhere if you had an interest in recognizing anything else in the dish. This is the only time I have ever, in my entire life, thought the flavor appropriate. It blended with the tanginess of the parsnips in a way that supported the delicate meatiness of the duck. And the sweetness from the apple elevated and expanded all of the elements to a place of utter completeness. It was in every way exquisite. Oh but that wasn’t all. On the other side of the plate was a lonely little crock, not more than two inches in diameter. Within that little purple-gray crock was a shredded bit of duck leg confit. It was slippery-tender as fish, with the silky, meaty give of slow cooked pork. And the flavor–I can’t describe it in tasting notes. I can only say that it put me into a swoon, my heart softening and melting through my ribs, my breath going out all at once in a heady sigh. If I’d have given up my last ounce of strength, there would have been tears. Each thread of meat that passed through my lips, that slipped across my tongue, was a revelation. And after a long, slow savoring of my duck, we were onto the cheese course. The standard menu offers a cheese and contrast, where you are served one cheese and a contrasting flavor pairing such as fruit. We opted, however, for the cheese cart. 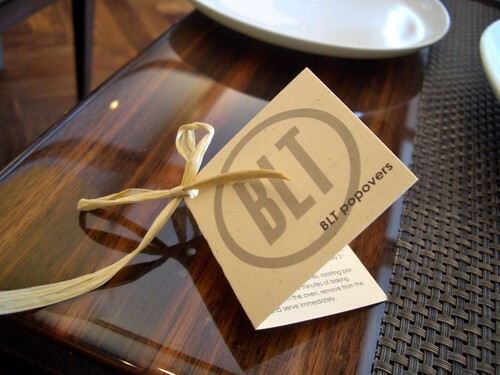 A large, covered butcher block cart was wheeled out to our table. More than a dozen different cheeses were described to us, after which it was up to us to choose four. I selected a creamy, truffle-flecked goat, a salty farmhouse cheese, and an award-winner with fruity, buttery notes that crumbled softly like a shortbread. And my fourth was a soft, semi-oozy, rinded goat cheese from Spinning Spider Creamery. It was, without question, the single most evocative thing I have ever eaten. It had an initial harsh note, similar to a blue, that I thought would heighten through the finish. My first instinct was that I was not going to like this cheese. That twang, however, opened up and spread into grassy pastures and sunlight. It tasted like a farm, like the warm bodies of coarse-haired goats and the solid haunches of cows, like having your hand enveloped by the grainy tongue and slippery gums of a hungry calf, like light and pasture and animal life. Every bite spread through my mouth with that same visceral, barnyard pungency. It made my heart race, made me want to burst out with laughter in awe at the sheer clarity of it. As tremendous as the rest of the meal was, this was truly the highlight for me. I’ve never experienced anything so vivid by way of food. Dessert was a dish of poached sugar pears topped with a thick mound of spiced meringue. I’m not generally a fan of meringue, as it can tend to be foamy, lifeless, and–to my mind–purposeless. This however was glossy and slid sateen over the tongue. It had presence and flavor, nearly more than the pears that it so excellently pillowed in my mouth. I could feel my belly protesting, but I finished each delicately sweet bite. More than three hours from when we were first seated, the check arrived at the table. Along with it came butter cookies for Chris and sugar coated truffles that left the back of my throat warmed by a small, spicy tingle. Not a speck of gluten entered my stomach through the entire meal and never did I feel the urge to question any bite I took. This was the most wonderful dining experience I’ve ever had, and I would go back to Atlanta in a heartbeat just to eat at Bacchanalia again. Honest. I should also mention that we had a very, very fine meal the next evening (post-whale shark) at another Atlanta restaurant called the Woodfire Grill. Woodfire Grill also places an emphasis on local, seasonal ingredients, organic whenever possible. They work directly with the farmers to obtain their meat and produce and even include a list of their suppliers on the back of the menu. Dining here is available a la carte, but we opted for the 5 course chef’s tasting menu. It’s a blind tasting, so each course was a surprise. Like Bacchanalia, they were readily able to accommodate my GF needs, and only a couple substitutes were necessary. The plating was superb and every dish we ate was excellent–cubes of sweet watermelon topped with a green olive puree and a drizzle of balsamic reduction; rich and smoky quail alongside Jerusalem artichokes with sage infused butter; a succulent, caramelized scallop with fennel pollen and a smear of pork jus that Chris still cannot stop gushing over; pork belly so purely indulgent that it made me giggle; and a pumpkin flan that made me wonder why I don’t indulge in this dessert more often. I would say that this restaurant is a must if you are in Atlanta. The experiences at Bacchanlia and Woodfire Grill–two restaurants using quality, seasonal ingredients, offering well-prepared dishes, beautifully presented–have left me pondering what exactly makes one meal great (and not to discredit Woodfire, this was a truly wonderful meal) and the other a revelatory experience. Is it the chef? Is it a delicate balance of flavors? Is it knowledge, skill, technique? Maybe it’s something else, something intangible. I can’t place it, and it’s almost frustratingly intriguing to me. What is it that makes a meal more than just food, that elevates it to a place that makes a person walk away feeling changed? So there you have it. The highlights of my October. Oh and I can’t wait to tell you where I’m going from here! It’s finally becoming real and I’m so scared and so excited. I’m jumping off of one of life’s many, unexpected cliffs–won’t you come with me? I just started reading your blog- I'm Gluten Free and living in Atlanta! I'm pretty excited that it's getting a better reputation as a 'foodie' town. In fact, the most recent Top Chef 'fan favorite' is the chef at Woodfire Grill. Anywho, it's just nice to hear that you had a great experience here. 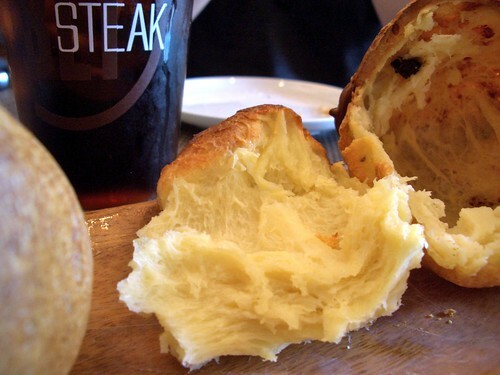 Oh, they used to have these amazing cheddar and herb biscuits at BLT Fish. I bet you could craft an awesome gluten free version – mmm yummy!